Evolv, Inc > Categories > Report a Bug > Room Temp? - not correct? How is everyone's room temp reading? Mine is off by 10 degrees F. Any thoughts? Mine is always high, but to be expected in a almost sealed xox my hand heats every now and again, but I don't have an accurate thermometer here to say how high. Hmm- I realize I'm looking at the device monitor info, and that my device is plugged in- perhaps the charging circuitry raises the temp by 10 degrees F? Might be conceivable! Especially in a closed box! 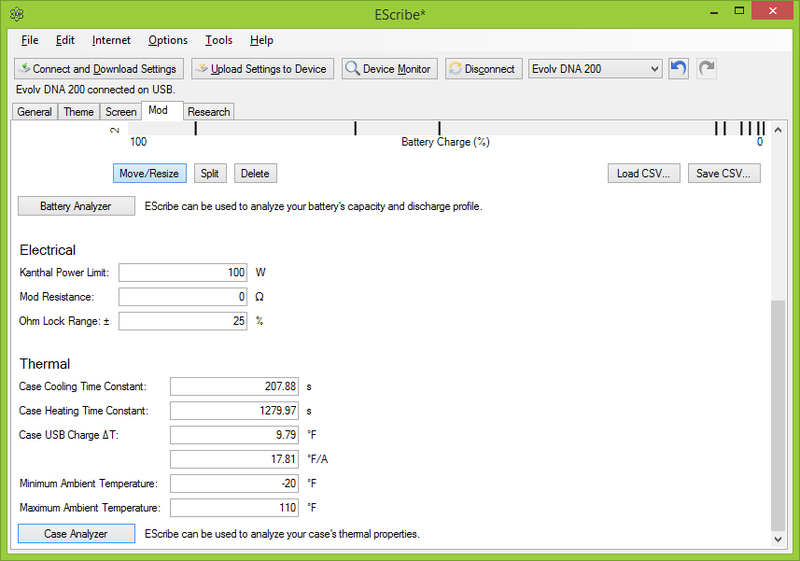 You need to run case analyzer and get your thermal coefficients for it to be right. Once you have done that it should be pretty bang on. AH - ok, John. I'm gonna drop you a quick PM about this box. I'll keep it short. THANK YOU!! You know, John has a very good point here! 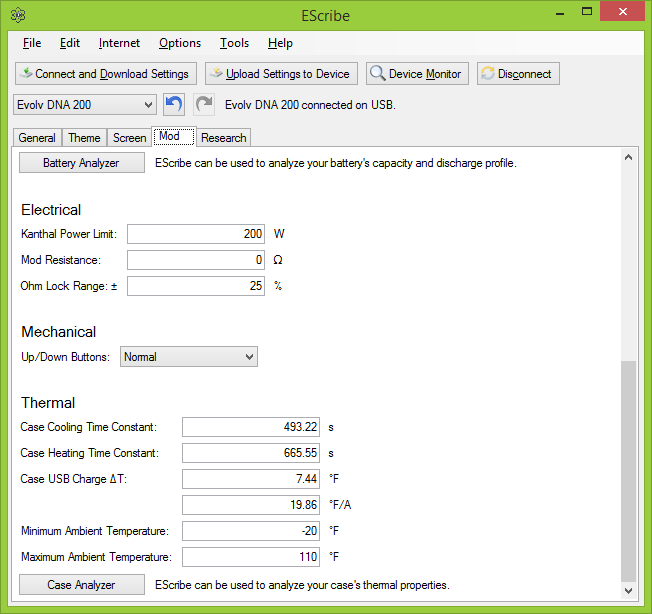 I just checked out the case-analyzer portion of escribe, and the Delta-T for charging on USB is 10 degrees... that's right on the money for our house temp at the moment (91-10 = 81). So, I bet it's correct!! I have so many computers in here I struggle to get the temp below 28 C at this time of year and both time I have run case analyser it spends the first hour waiting for the temperature to drop, I got quite different results each time, but the were different ambient and doff versions of escribe. Those aren't that different, really. Either should get you within a few degrees of correct. I was meaning the cooling and heating time constants were different, I am not worried about and just posted as the topic came up.